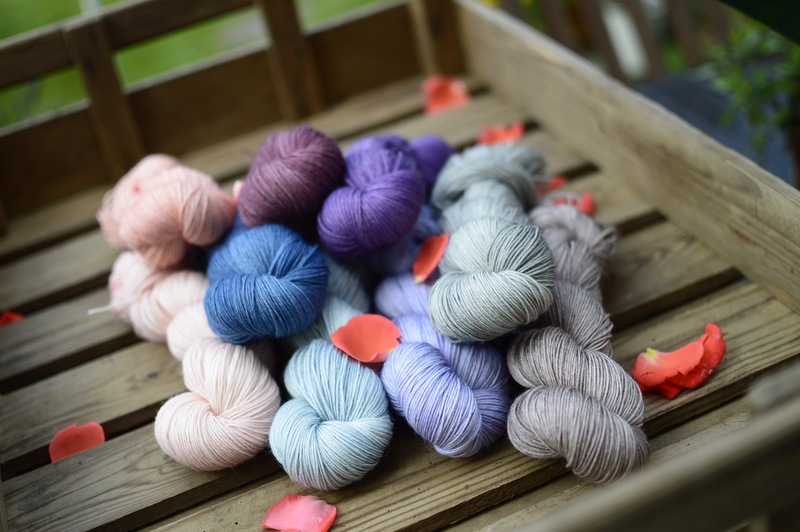 Just a quick update on the latest ECY update… I’m currently busy dyeing like mad for Yarndale, but have prepared a lovely selection of yarns and colours for the website first. One thing to note is that we will be at the Yarn In The City pop-up marketplace in London on Saturday the 5th.. we’ll have a very limited amount of yarn, as space is really limited at the marketplace so we’re just travelling in the car. Anyway, we will bring a small selection of the prettiest things (always a tough choice)! Anyway, on with the update. Many of you will have seen these pics on Instagram and other social media platforms but it’s nice to put them all in one place and for those of you who are not on any other social media thingies. 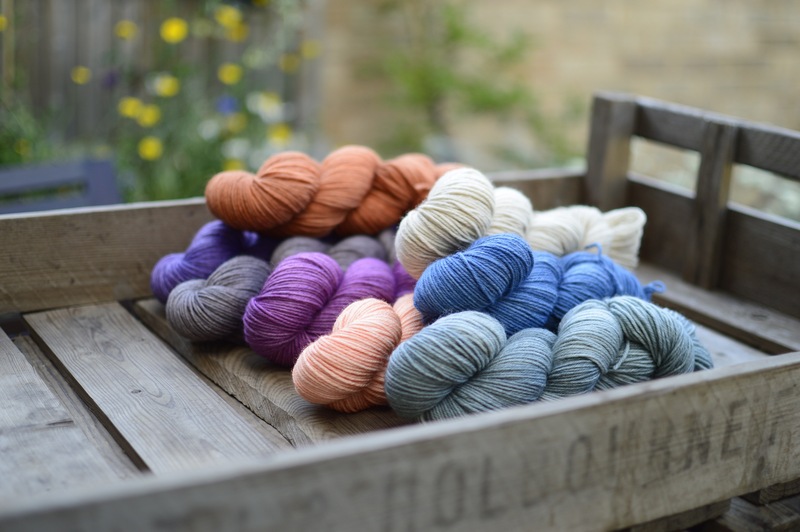 Talking of Oakworth DK, there are also Threads kits, and Threads add-on kits (for if you want a different colour). For the add-ons, just add your yarn and the add-on to your shopping cart, and I will make it up into a kit for you. Threads is a beautiful sweater by Justyna Lorkowska, as part of her and Dieuwke van Mulligen’s Impulsive Knits collection. And talking of kits – we have a couple more (it wasn’t intentional to have three news kits out this month, it just sort of happened). 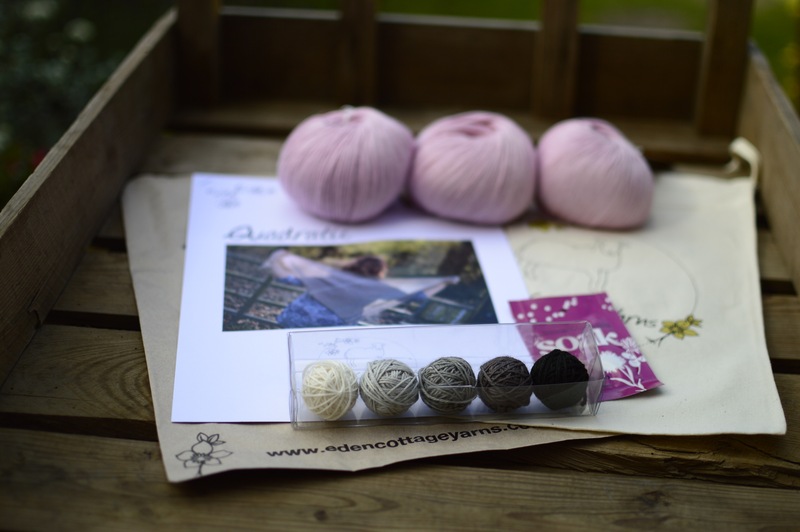 Firstly there’s limited edition monochrome Quadratic kits – the stripes are monochrome, and you can pick your main colour of Askham 4ply (shown here in Blossom seeing as that’s what the shawl below is in). If you just want the Yarnlings – no problem! 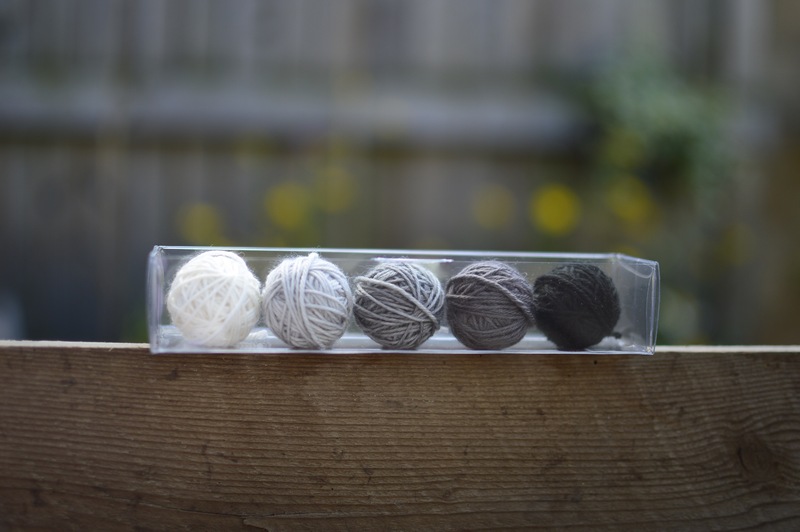 We have packs of monochrome Yarnlings available individually under the Yarnlings tab on the website. The third new kit (here) is Kunye by Clare Devine; a really simple, quick, and versatile shawl, with an optional beaded edging. The kit includes Oakworth 4ply (superwash Polwarth wool) in Geum, along with the pattern, an ECY project bag, and a sachet of Soak. I haven’t included the beads because frankly it would have added quite a lot of expense to the kits, which didn’t seem necessary – I’m sure many of you, like me, have beads stashed, or have a preferred bead shop. Anyway, there are ten kits available so they are quite limited. I will leave you with our flock of Japanese sheep – we have new Zwartbles and Zwartbles lambs; Herdwick tups, ewes, and lambs; Suffolks and Suffolk lambs; and Swaledales. As always, with being individually (and stunningly) hand carved, and shipped halfway across the world, numbers are very limited.